Forget chocolate, roses, candy hearts – think of the cockroach as the new Valentine’s Day symbol, both for love and love lost. A love bug for all types. That person’s name will appear on the “roach board” in the bug’s enclosure. Sure, there’s a little bit of poetry naming your ex after a bug that many associate with filth, but what if you want to delight in your schadenfreude a little more while doing a little good? Enter the El Paso Zoo. Send the zoo a message via Facebook by Feb. 10 with the name of your ex. Staff will name the cockroach, decorate the meerkat enclosure with all the submitted names, and then feed the meerkats those cockroaches. Oh, and if that’s not enough, you can watch this live on Facebook or on the zoo’s meerkat cam at 2:15 p.m. CT on Feb. 14. You know someone will tune in to watch and will see their own name. 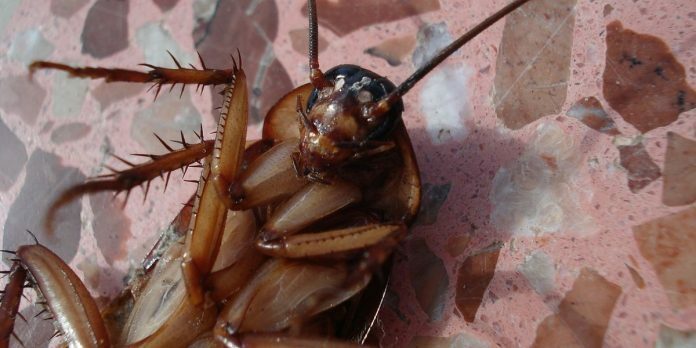 These aren’t the only zoos getting in on the cockroach game, but some are doing it out of love. If you’re not near Boise, and your local zoo isn’t doing anything to help you get over love or celebrate it, enter the Bronx Zoo with fancy swag and a reminder that love is like a giant hissing bug. The zoo is offering a “Timeless Gift” – Romeos and Juliets can name a Madagascar hissing cockroach after their sweetheart. A video on Facebook says that teddy bears will collect dust bunnies and flowers will wilt, but naming that roach will really prove your love because those suckers don’t die. For those not familiar, Madgascar hissing cockroaches are the largest of the roach species. The make a hissing noise as a defense mechanism when they force air out of “spiracles” on their back, which are used for breathing. Maybe someone will re-release the 1996 movie “Joe’s Apartment” for a Feb. 14 screening. It features Jerry O’Connell and hundreds of singing and dancing cockroaches. Perfect to watch as you’re snuggling up with your love bug.